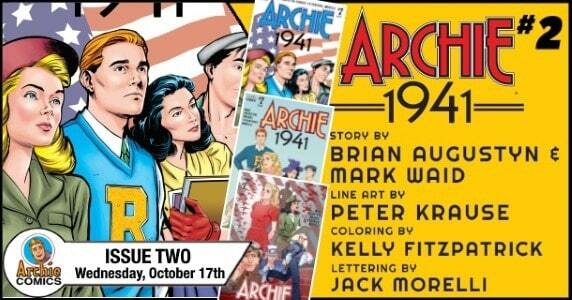 Available this Wednesday, October 17th from Archie Comics is the second issue of ARCHIE 1941! 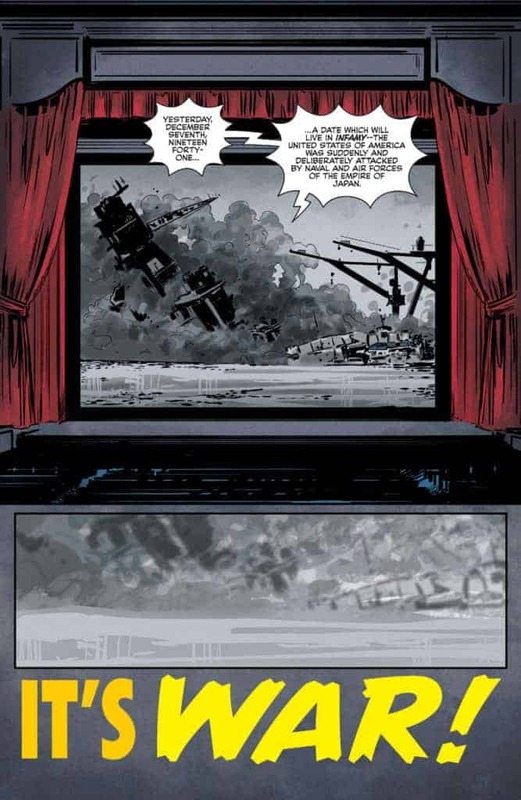 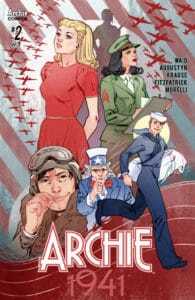 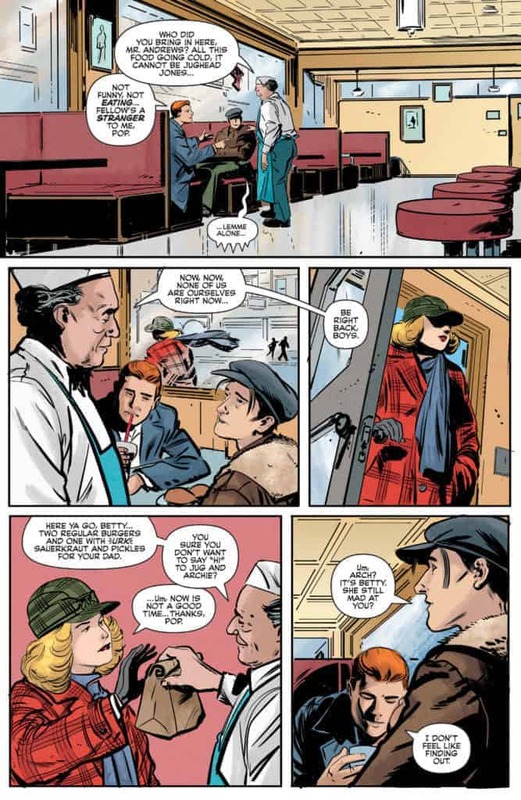 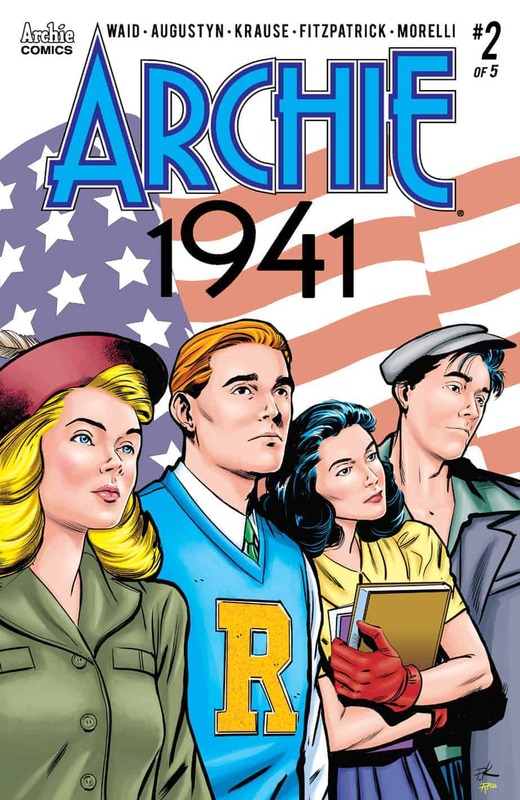 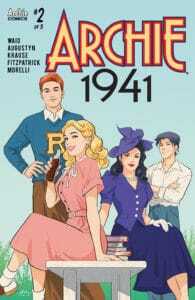 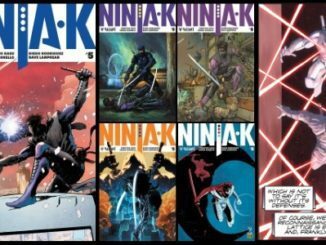 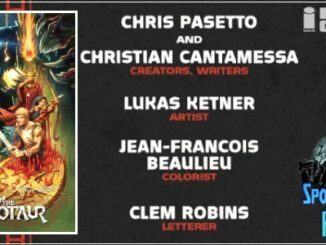 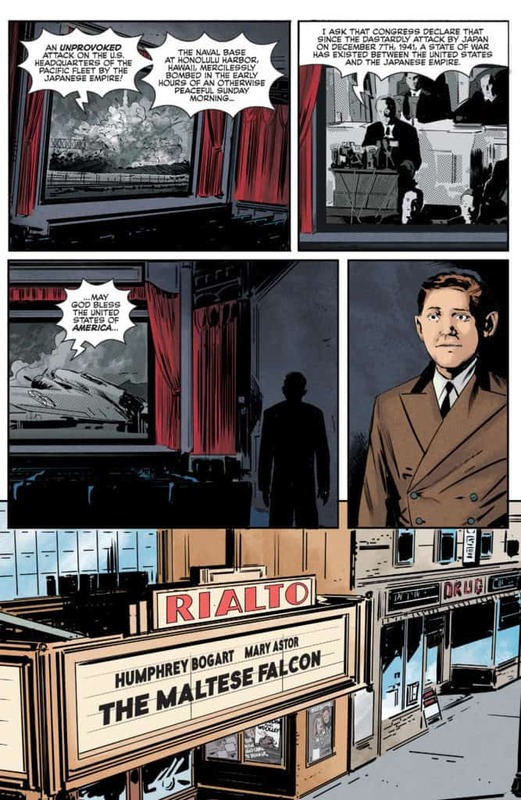 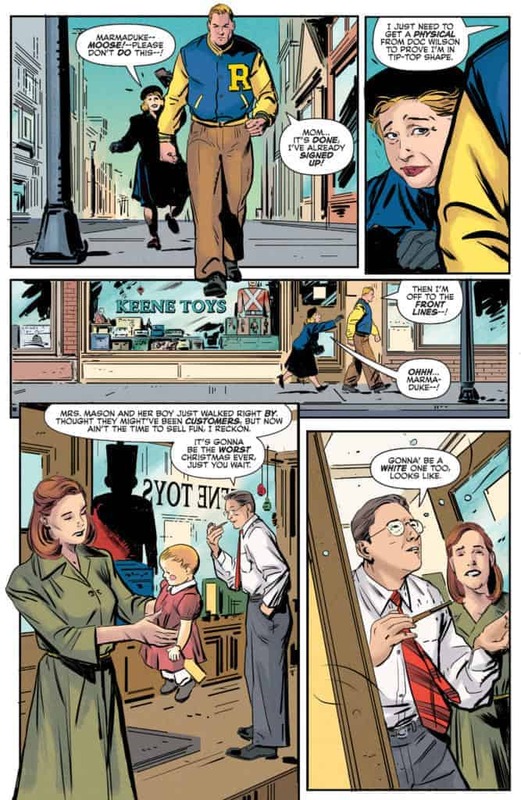 ARCHIE 1941 is a five-issue historical fiction limited series by writers Mark Waid and Brian Augustyn, artist Peter Krause, colorist Kelly Fitzpatrick, and letterer Jack Morelli in which the Riverdale teens deal with the consequences of impending war in Europe. 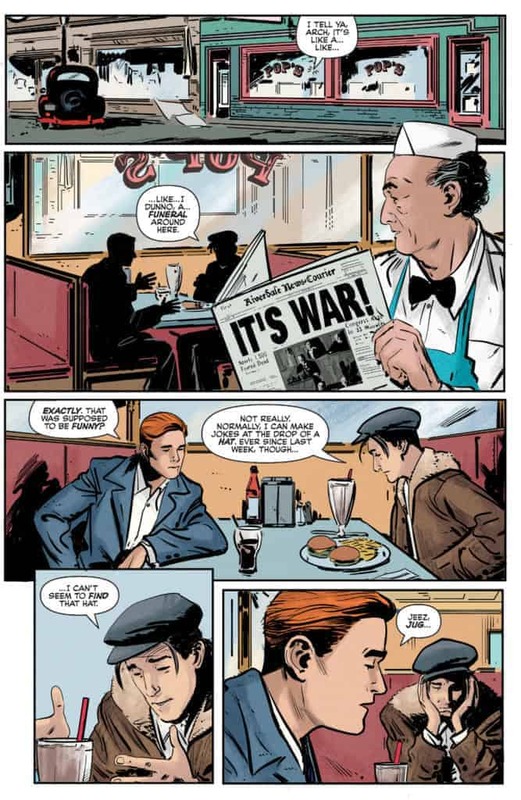 As the United States makes its entrance into WWII, the teens and parents in Riverdale are faced with some difficult situations as they reflect on how this will dramatically change their lives as they know it.